Molly Collier-O’Boyle is a Melbourne based multi-instrumentalist. Through working as a curator and performer she aims to mix genres together whilst combining different artistic mediums in a variety of concert experiences. 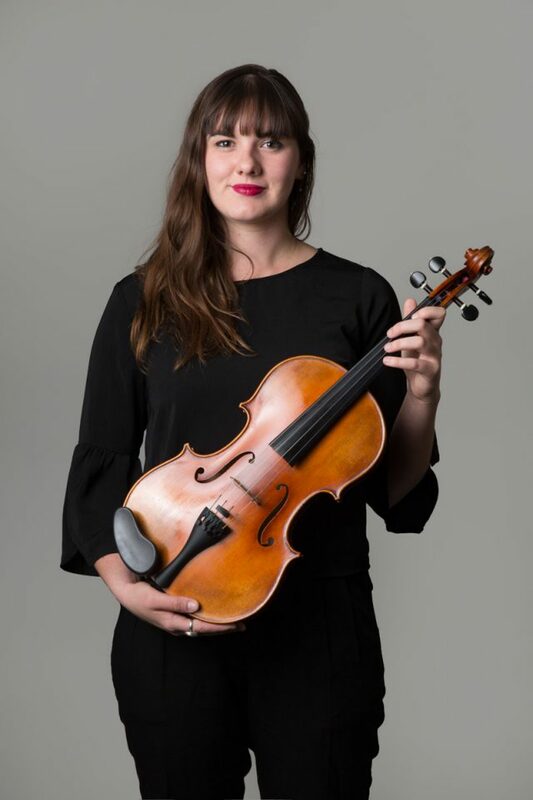 She completed her Bachelor of Music in Advanced Performance in 2015 (Queensland Conservatorium of Music) and in 2016 her Graduate Diploma in Music Performance (University of Queensland). This is her second year studying viola at the Australian National Academy of Music. Molly has performed in festivals such as the Australian Festival of Chamber Music, Canberra International Music Festival, Woodford Folk Festival and was a curator for Brisbane’s successful arts event series Paint it Red. In 2017 Molly was Principal Viola of the Australian Youth Orchestra and was a recipient of an Ernest V. Llewellyn Memorial Fund. She freelances with the Queensland and Adelaide Symphony Orchestras, Camerata Queensland’s Chamber Orchestra and Opera Australia. Recently on a collaborative tour with ANAM and the Australian Chamber Orchestra, in the coming months she looks forward to being an Australian World Orchestra Academy Player, semi-finalist in Melbourne Youth Orchestra’s Virtuosity Competition and is travelling overseas. In June/July 2018 I am travelling to Canada and the US to participate in the Ensemble Evolution program and Bang on a Can Summer Music Festival, to take home to Australia further knowledge of contemporary music practice.